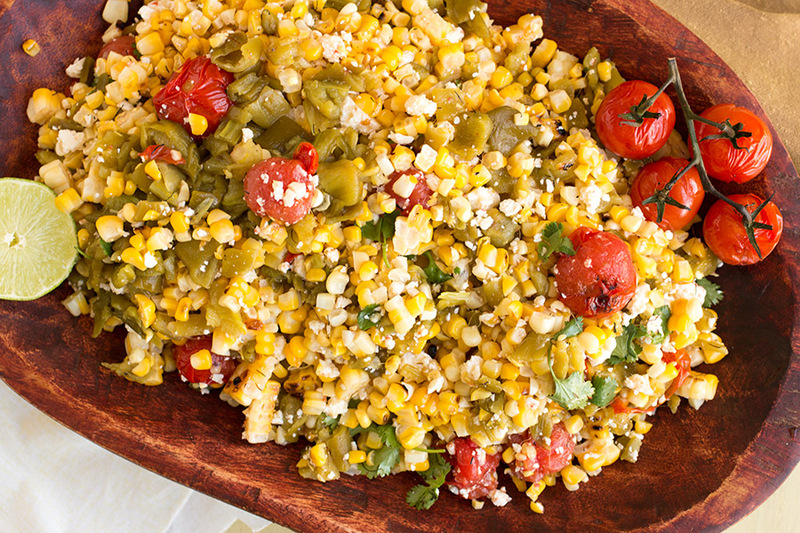 A refreshing summer corn salad recipe made with charred corn, Hatch green chiles direct from New Mexico, blistered cherry tomatoes, and crumbled cotija cheese. It’s time to fire up the grill! Where we live, summertime is all about corn. We’re in the heart of the Midwest, and it’s interesting here because we can drive 10 minutes in one direction and hit a decent sized city, and 10 minutes in the opposite direction and hit a cornfield. We ride our bikes along a bike path that cuts through a large cornfield and the stalks are typically “knee high by the fourth of July”. The grocery stores are jammed with pallets filled with corn and the road side stands appear where you can toss your money into a wooden box and take away fresh corn on the cob. It’s a great place to live for a corn lover! What we don’t have, though, are fresh Hatch chile peppers. 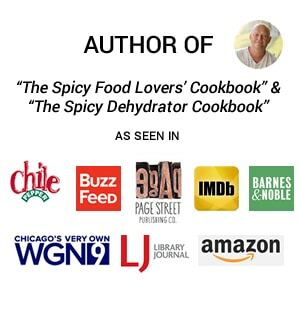 I can get chili peppers, of course, and I grow plenty, but the only place you get true, authentic Hatch chile peppers is directly from New Mexico. Hatch chiles are unique. They’re grown in New Mexico where the soil conditions are like nowhere else on earth, which produces chiles like you’ve never tasted. Couple that with the pride and extra attention the growers give to nurturing these wonderful peppers, and you have something truly special. Those from the New Mexico area know this and it shows. While I may not have access to local Hatch chile peppers where I live, I CAN order them online. 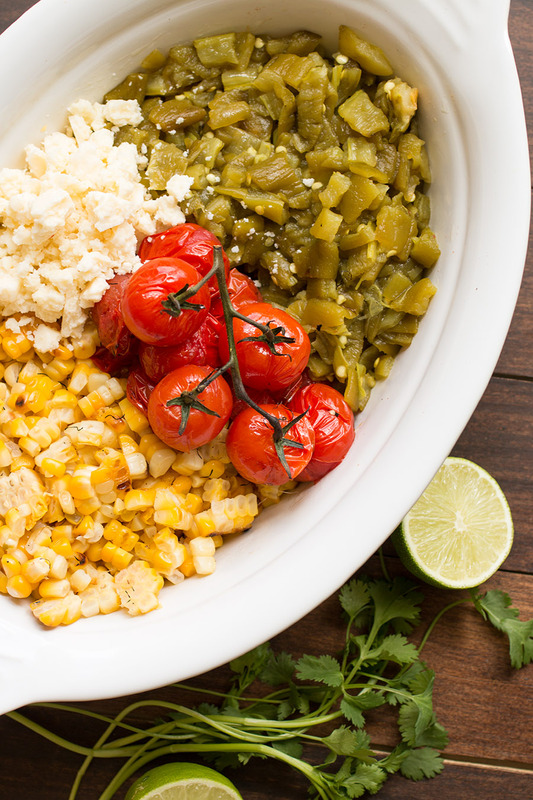 With corn season in full swing, I needed a side dish for a party and knew I wanted to make a charred corn salad. 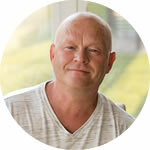 They’re easy to prepare and I get to fire up the grill. 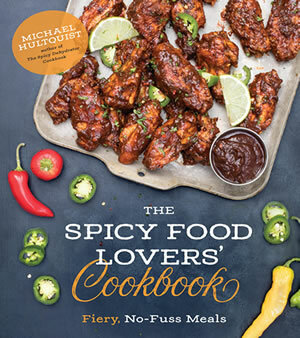 Plus, you can incorporate so many flavors and styles of cooking for a dish like this, and everyone loves them. 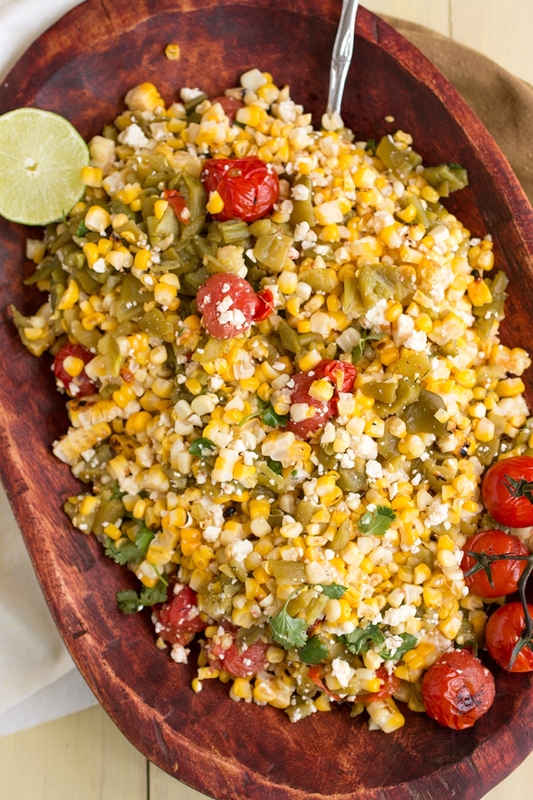 I wanted this corn salad to truly stand out, so I ordered a batch of roasted peppers from the Hatch Chile Store. The package arrived in a Styrofoam container and they were still nice and cool. I got myself a 5 pound batch, separated into 1 pound bags, and froze what I wouldn’t be using for future use. I got them pre-roasted. Less work for me! That roasted chile smell when I opened the bag…ahhhh…let me tell you. Nothing like it. #Addictive. 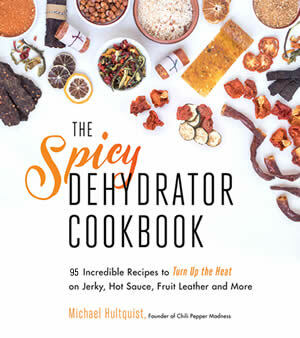 With a 16 ounce package of hot chiles in hand, I got to work and gathered up my ingredients. Look at all this gorgeousness. So fresh and vibrant! You don’t need a lot for this recipe, but you’ll be amazed at the end result. 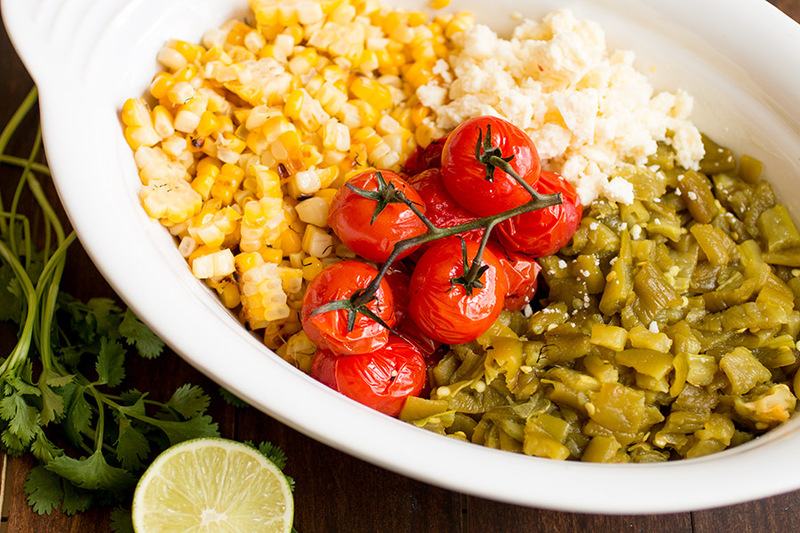 The main components are roasted Hatch chiles, corn, cherry tomatoes, cotija cheese and cilantro. 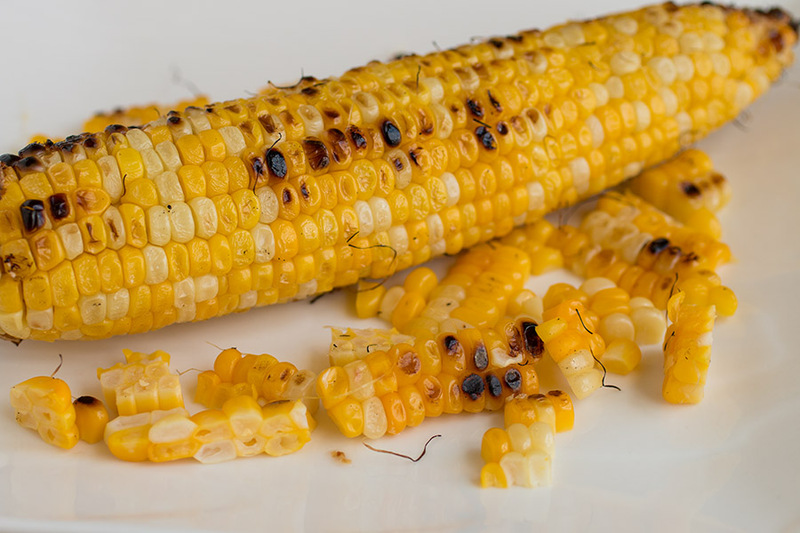 Shuck your ears of corn and fire up your grill. Save one or two of the ears of corn so we can include a bit of fresh, uncooked corn in the recipe. It adds an additional fresh POP of taste. Rub the corn down with a bit of oil and grill them until they are nicely charred. You can char them to the level you’d like, as dark as you prefer. When they’re nearly done, blister the cherry tomatoes along with the corn, then get it all onto a cutting board. Doesn’t the corn look awesome? Nice and golden with an attractive char. Remove the kernels from all the corn and add them to a mixing bowl. Trim the stems and seeds from the chiles and coarsely chop the peppers. Into the bowl they go along with the cotija and blistered tomatoes. Here they all are, just hanging out. Nice and vibrant! I want to eat it just like this! Your dressing is a simple lime-vinegar mixture. As I mentioned, you really don’t need anything more for this, aside from a bit of salt and pepper to your personal tastes. The ingredients are so fresh, they speak for themselves. Toss it all together and you’re good to go! The blistered tomatoes are a tasty burst of flavor. Bring this to your next party, or serve it as a side dish. I like to serve seared scallops over corn salad. It’s a powerful combination. Or, serve it as a salsa with chips. Multi-purpose. Excellent! 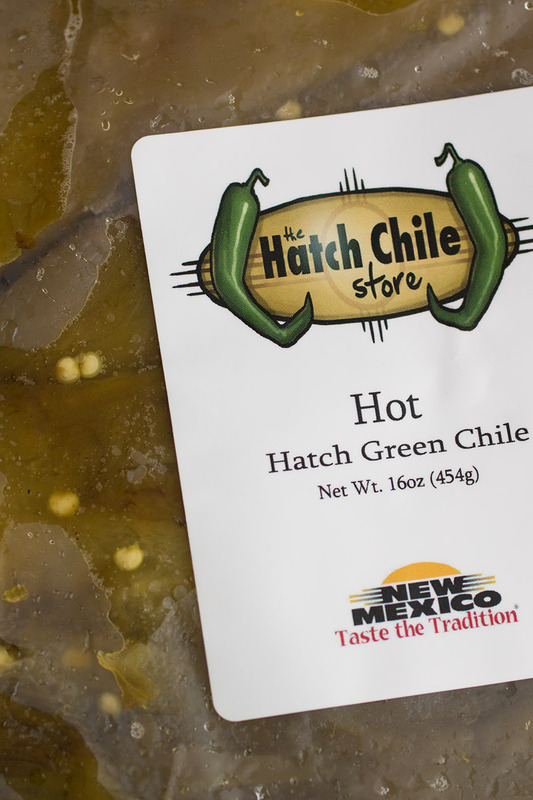 Visit the Hatch Green Chile Store to order fresh or roasted chiles direct from New Mexico. Rub 7 of the ears of corn with oil and set them on the grill. Grill, turning often, until they are nicely charred and vibrant yellow in color. Remove from heat and cool. While the corn is cooking, lightly oil the cherry tomatoes and set them onto the grill. Cook until they are charred and start to soften, about 6 minutes. Remove from heat. Slice the kernels from all of the corn, including the uncooked cob, and add to a large mixing bowl. Coarsely chop the Hatch chiles and add to the bowl. Add cheese and cilantro and toss. Squeeze in lime juice and add vinegar. Toss. Taste and adjust with salt and pepper. Cotija can be a bit salty, so you may not need any. 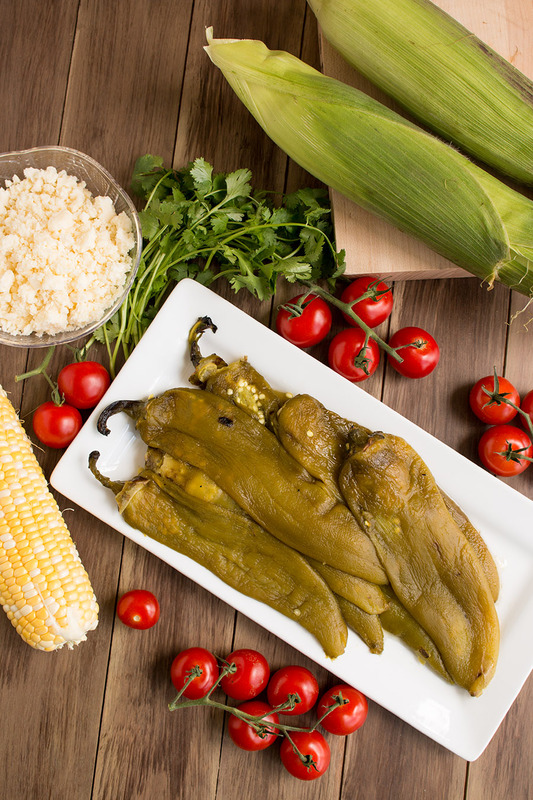 This is a sponsored conversation written by me on behalf of The Hatch Chile Store. The opinions and text are all mine.